KADAVU, FIJI – 24th May 2012 – Matava – Fiji’s Premier Eco Adventure Resort today announced that it has received a TripAdvisor® Certificate of Excellence award. The accolade, which honours hospitality excellence, is given only to establishments that consistently achieve outstanding traveller reviews on TripAdvisor, and is extended to qualifying businesses worldwide. Lees than 10 percent of accommodations listed on TripAdvisor receive this prestigious award. is the world’s largest travel site, enabling travelers to plan and have the perfect trip. TripAdvisor offers trusted advice from real travelers and a wide variety of travel choices and planning features with seamless links to booking tools. TripAdvisor-branded sites make up the largest travel community in the world, with more than 50 million unique monthly visitors*, and over 60 million reviews and opinions. The sites operate in 30 countries worldwide, including China under daodao.com. TripAdvisor also includes TripAdvisor for Business, a dedicated division that provides the tourism industry access to TripAdvisor’s millions of monthly visitors. www.sniqueaway.com, www.smartertravel.com, www.tingo.com, www.travel-library.com, www.travelpod.com, www.virtualtourist.com, www.whereivebeen.com, and www.kuxun.cn. Matava - Fiji's Premier eco Adventure Resort is proud to have opened the first full service Pure Fiji Spa on the island of Kadavu. 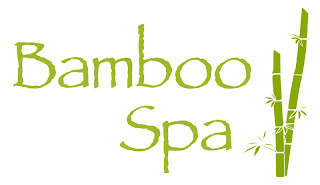 The Bamboo Spa is the first and only full service Spa facility on Kadavu. We decided to partner with Pure Fijias our environmental policies and missions are so much in line. We are proud to have Ms Channel Joy join our management team as our Spa Manager and Senior Beauty Therapist since opening. Chanel has been a professional in the spa industry in Fiji since the 1990's and was one of the designers and managers of the Pure Fiji Spa at Pure fiji;s headquarters in Fiji. As part of our full body rituals, your path begins with another soothing experience rich with symbolic meaning - a warm foot soak in fragrant coconut milk bath... a welcoming and cleansing gesture which will leave you feeling serene. Choose your path through this sanctuary, with a promising selection of natural treatments lovingly made with uniquely Fijian plant extracts - heavenly massages and wraps, miraculous facials, and the most luxurious of spa pedicures and manicures. With flowers freshly picked from the Resort's gardens and the exotic fragrances emanating from the spa’s entrance and hidden gardens you realise you’re in for a truly unique experience. The tranquil surroundings and discreet staff lend a sense of peace and harmony in balance with nature. 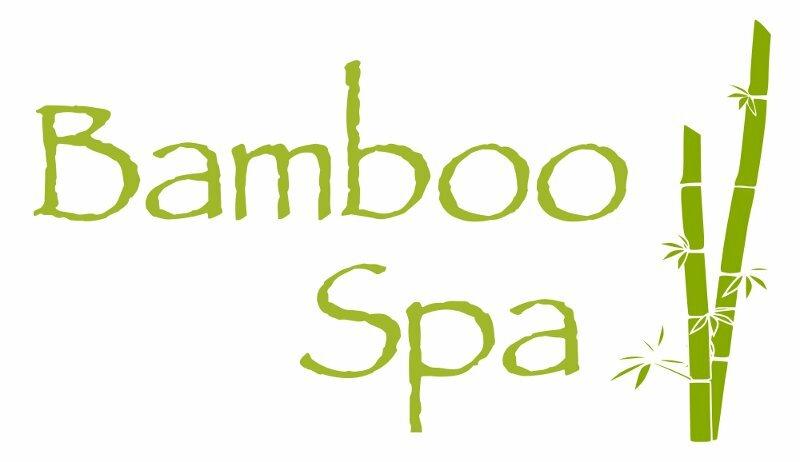 Not only will skin and body be refreshed and revived - but every choice on this journey will leave your heart a little lighter, your spirit a little brighter until we at the Bamboo Spa welcome you once again. Pure coconut oil, the base ingredient for all of Pure Fiji's products, has been used for hair care, skin care, and massage for generations. Pure Fiji's natural bath and beauty products include luxurious body butter, hydrating body lotion, coconut sugar rub, shampoo and conditioner, coconut milk bath soak, and nourishing body oil. Matava - Fiji's Premier Eco Adventure Resort, is an eco adventure getaway offering you a fun and unique blend of cultural experiences and adventure activities in the environmentally pristine and remote island of Kadavu in the Fiji Islands. Matava - Fiji Premier Eco Adventure Resort is a PADI Dive 5 Star Resort as well as a Project AWARE GoEco Operator. Matava offers accommodation for up to 22 guests in lush tropical surroundings in traditional thatched Fijian 'bures' with hardwood polished floors, louvre windows and private decks offering privacy, comfort and superb ocean views. I spent 10 days at Matava with The League of Underwater Superheroes and had the time of my life! I could not have dreamt up a better vacation! The scuba diving was overwhelmingly beautiful and the friendly staff was outstanding! Everyone there went above and beyond the call of duty. The food is outstanding as well and everything is so fresh, because it's grown right there. They even make their own honey! Dietary restrictions are not to be worried about either - they made all of my meals with no onions, simply because I don't like them...talk about accommodation. We also took a day trip to the village and waterfall, which is not to be missed. The locals are all very friendly and the waterfall is beautiful! An amazing adventure! I'll definitely be back and I can't wait! I can not thank everyone at Matava enough for my amazing stay there - Ta, George, Maggie, and Cherie, always there for us no matter what it was we needed. The fun and spectacular dive crew! Chenelle with her magic massage hands. The chefs and their delicious creations (we ate like kings). Sammy, and the kava crew! and thank you Richard for making it all possible! Vinaka to all of my friends in Fiji, you are missed! Me and my husband spend a week at Matava in February. It was a wonderful experience! The staff is lovely, they make every guest feel special! Maggie, Sita, Cherie,... they're all genuinly friendly and kind. They knew every guest by name, it really felt like a big family. The bures are clean and spacious, as is the bathroom. Even though it's very remote, we had all the comfort we needed. The food was great! I'm a vegetarian and they cooked me a completely different vegetarian meal every night! We went snorkeling a few times and did our first trial dive! The snorkel was beautiful! We really enjoyed our dive too. Alex, the instructor, was very patient and calm, which is perfect if you're diving for the first time!! It really was perfect and I hope we can go back some day.. Calling all shark-saving wedding couples – how would you like a fabulous twin-centre honeymoon in stunning tropical Fiji? We stayed 5nights at Matava, going home on Nov. 17. I have nothing but praise. Matava was perfect for us, but do your homework to see if it's for you. If you want blowdryers, boutiques, pools and fancy, skip this. Kadavu is gorgeous, and Matava provided us with everything we needed. The setting is stunning, and our bure felt very private. The showers were nice and warm, good pressure and I had enough water. Food was absolutely amazing. Bed was comfy and a mosquito net was provided. There was no a/c, but we didn't miss it. The breezes were more than fine to cool us off. We had an oceanview bure (bulubulu) and it was perfect. I didn't see the inside of a honeymoon bure, but was glad I didn't have to trek up all those steps every time I wanted something, though the views are spectacular from there. If you're on the fence over which bure to get, please be assured that the oceanview is very nice. The wonderful folks at Matava take excellent care of you. My brother called them and told them I was celebrating my 50th birthday, and they surprised me with a beautifully decorated birthday cake and singing. We don't dive, but love to snorkle and kayak. There was tons for us to do, and we had the place to ourselves in the day. We signed up for the adventure package incldg 1 day kayak. Loved all of it! Waya Island is a very short kayak away, with gorgeous beaches, some of the best snorkeling I have ever done, and privacy. I could go there every day of my life and be an extremely happy woman! If this is your style, for God's sakes go! Do not miss it!